Anyone who enjoys the great outdoors knows to bring along certain supplies “just in case.” Indeed, it’s always better to have something and not need it, instead of the other way around. So it goes with disaster preparedness. When thinking about evacuation plans, medical needs, and more, it’s good to have a general understanding of how to protect and provide for your pet should an emergency situation arise. One of the best defenses against separation is to microchip your pet. 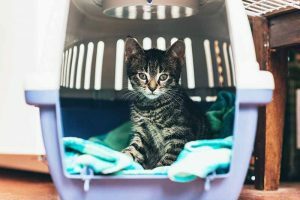 This is important for general pet care, of course, but in the event of a natural disaster or emergency, it provides the best chance at a happy reunion. While microchipping isn’t a replacement for a collar and ID tags, microchips definitely add an extra layer of protection. Animals can intuit approaching storms or bad weather long before it reaches us. As a result, they’re known to hide, seek refuge, or even run in response to fear. As soon as you know that conditions may be rough, find your pet and place them in a secure room. If possible, crate and confine them to a space that’s relatively quiet and comforting. In some cases, evacuating your home and property may be necessary. If you must leave, do not leave your pet behind. Always bring them with you wherever you go. The ASPCA offers a free Pet Safety Pack that you can display in your front window. This informs emergency personnel that there are animals in the home and can facilitate a quick rescue if needed. Illinois has been known to experience floods, fires, tornadoes, blizzards, and even earthquakes. 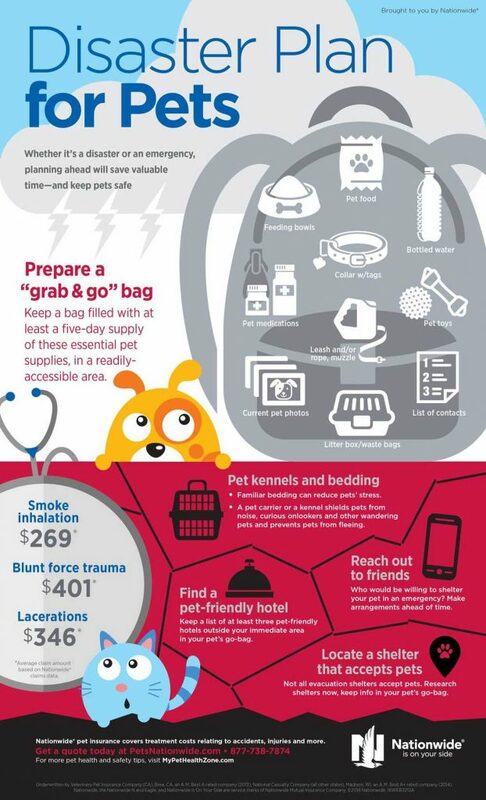 In the face of potential disaster, it’s vital that you and your pet are prepared. Please contact us with additional questions about disaster preparedness. The Pet Experts are always here for you! Next: Fido to the Rescue: What Does it Take to Become a Service Dog?